It is now the exact time to make an online presence noticed since there is already a hurling number of websites doing good and levitating the standards every single day, but what makes one greater is when it serves what others are not serving, when it does what other sites don’t do. It is the right time to invent, organize and practice the digital and latest norms in order to bring out the best from an online presence. Earning is one thing but ‘serving’ people is a whole level of different thing. 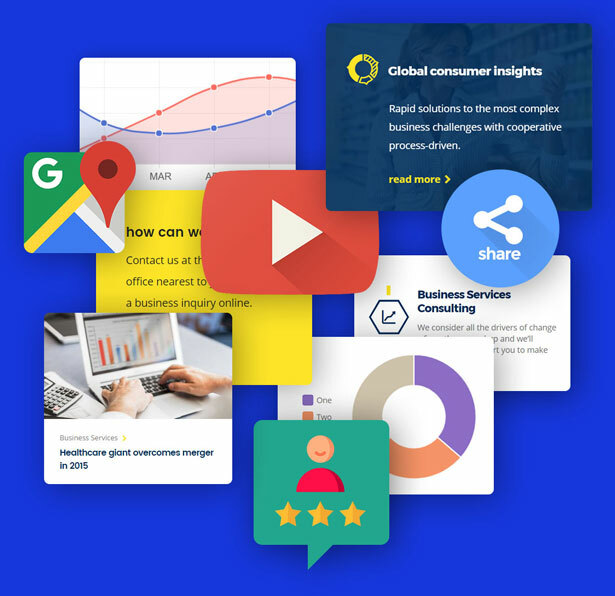 Let us all gear up to know how one can make an online business impact possible by doing the right things rightly. Let’s be a little more mindful, attentive and rapt to adhere the operative services. With great struggle, propensity and brilliance comes bigger success, fame and acknowledgment. 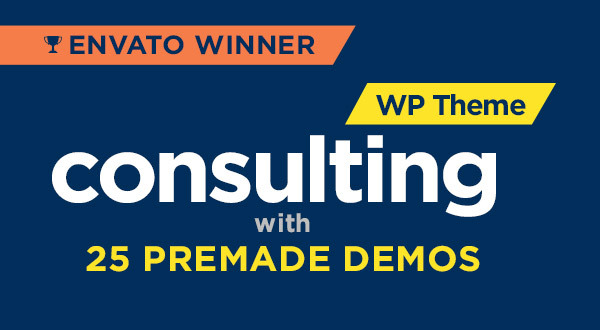 Thanks to the team and all those who made this possible as “Consulting” ranked the most wanted winner of the best business and finance WordPress theme providing all the top-notch features that do marvels nevertheless. 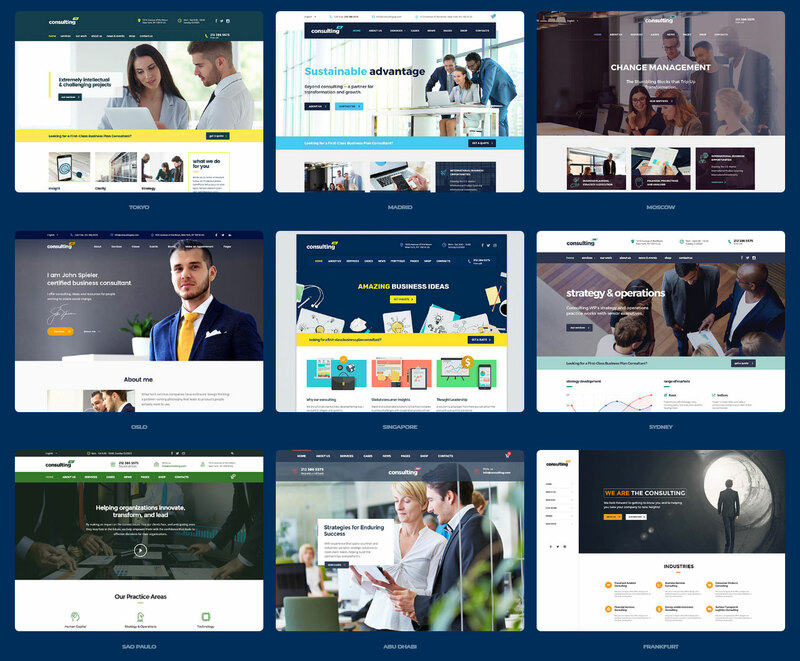 A good-looking WordPress theme not only enriches the splendor and outlook of the website but also its responsiveness, approachability, swiftness and professional look just transmute the entire disposition of the website. 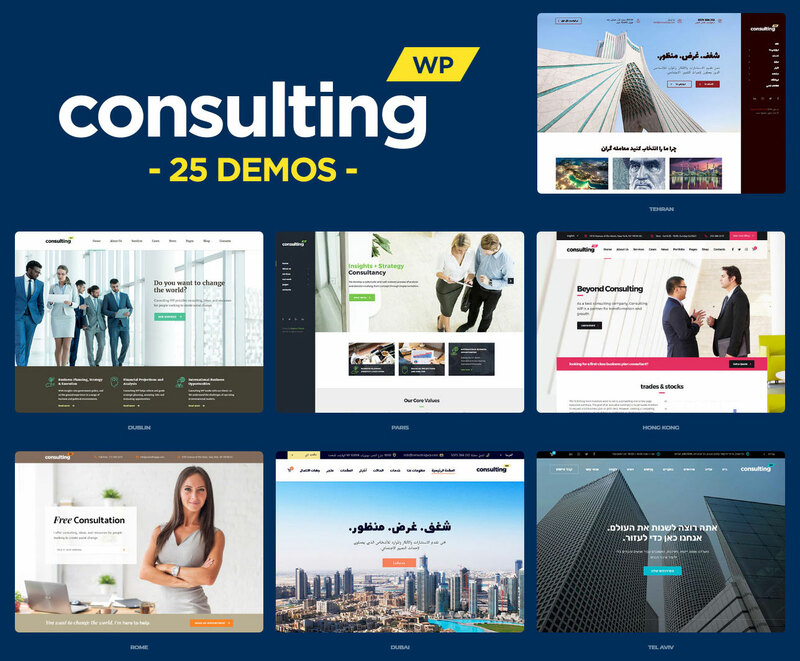 Here you may choose out of 25 premade website layouts that shall set the standpoint of your business website. 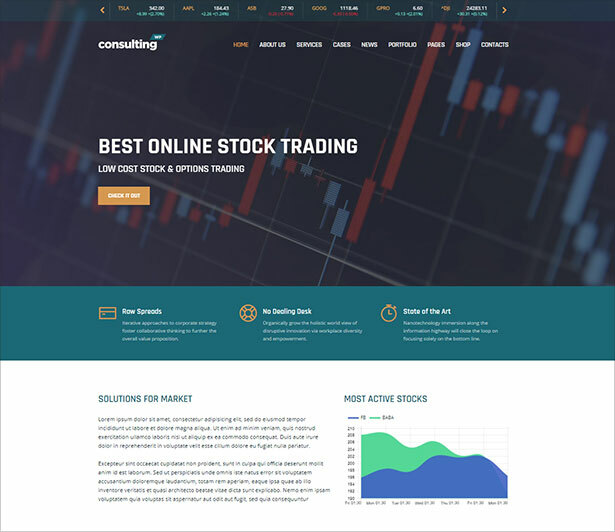 Now even the people concerning ‘stock trading’ can quickly get started by using stock trading demo. 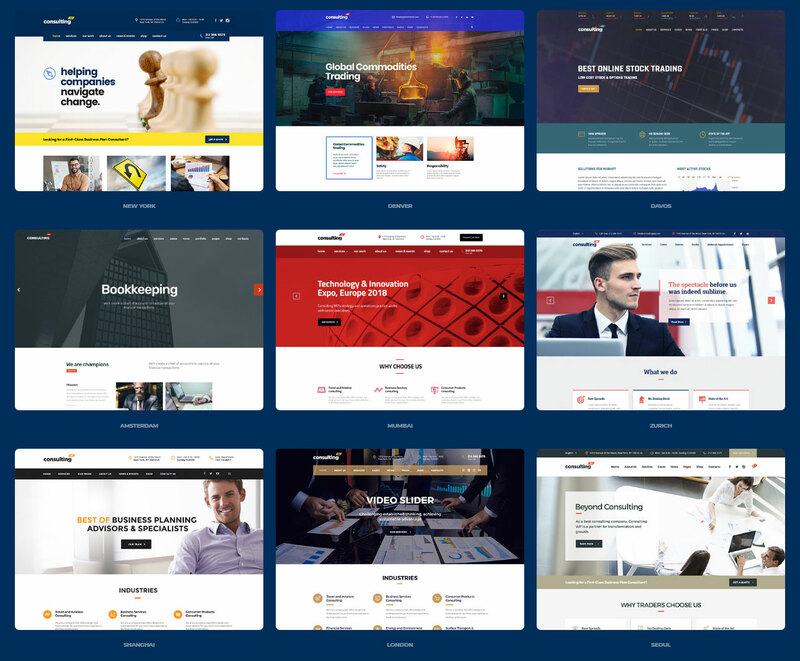 Oh well, what greatness comes with the finance business WordPress theme, you shall know when seeing the 47, yes, you heard it right! 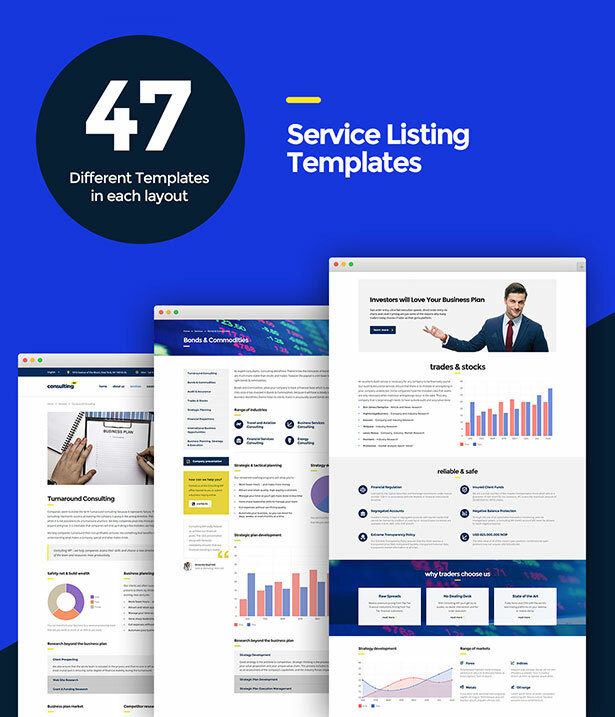 47 exquisite and professionally designed web templates are readily available in every single demo giving great ideas for newbies as well as professionals. Easily choose what you like and implement them in your business website according to your requirement. Give a modernized and invigorated feel to the website and set its mood according to the website’s stance. 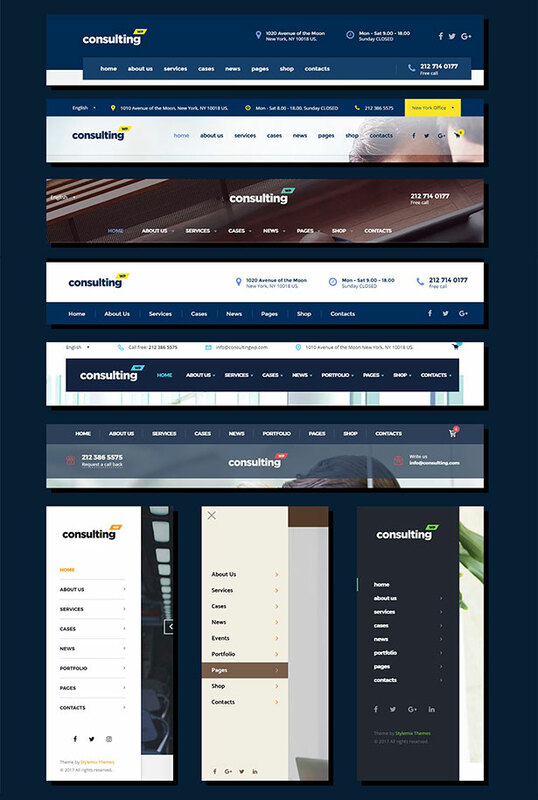 Choose any of the vertical/horizontal header designs that ensemble the inclusive look of the website. It just adds to the vivacity and finesse of the website, isn’t it? Creating an event is a whole lot problematic out of the website’s premises, because it is really a hard nut to crack to control and manage the ascending amount of legit traffic by social media. 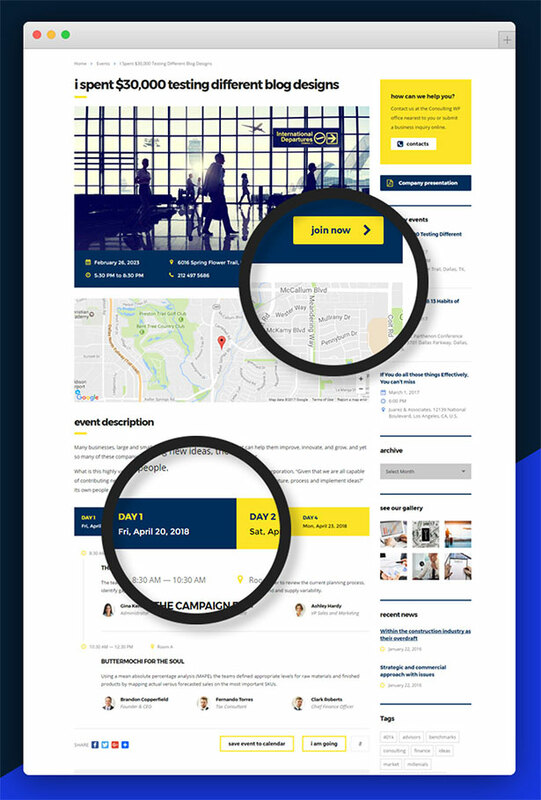 But now you can run event on the website itself without taking any hassle, stick to the same podium like never before. Schedule the details, venue, event and its timings/day to let all know ‘what is really going on’. As the advancement is getting overboard and the tolerance levels also are getting down, nobody likes to stand in the queue just for an appointment. 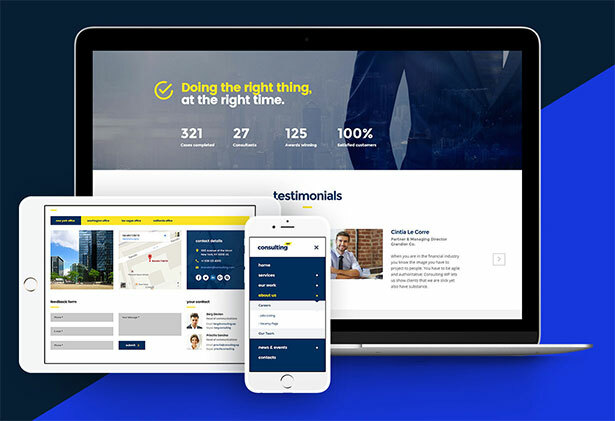 Keeping that in view, now through this amazing business WordPress theme ‘booking an appointment’ has become a piece of cake. 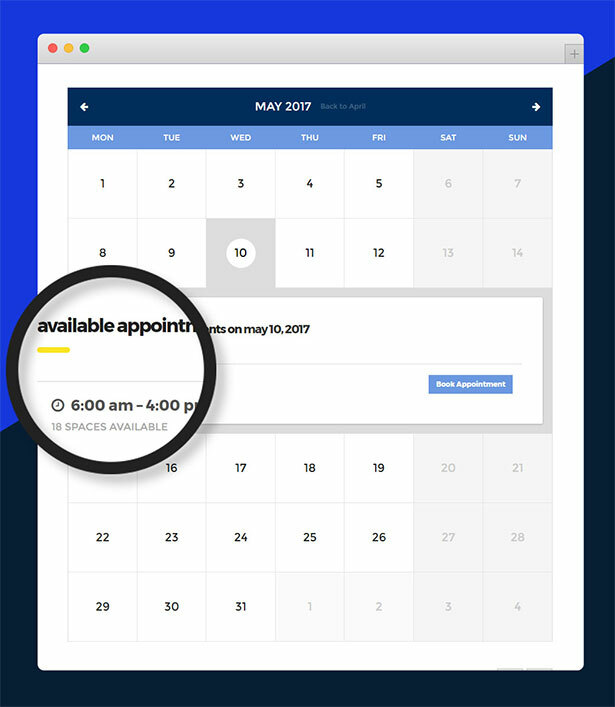 Any date, day/time, month can be chosen to book an appointment straight away all through the website itself. No more waiting mode guys! Well when people are walking on the moon, and smart touch phones have taken the technology to some other level of encroachment let us tell you that now you may set multiple offices’ locations onto the business website. 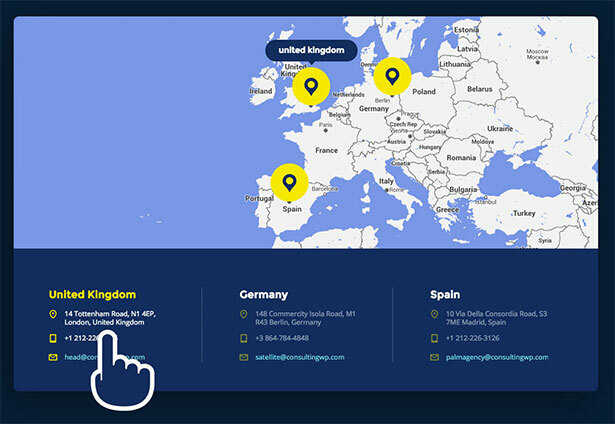 All the offices, branches and outlets’ locations can be set on the site to make people aware the whereabouts/setting of the offices easily. This is certainly a perfect example of easy-mapping. Now with the apt responsiveness of the theme, it may very well get adjusted into any screen size/width-length and resolution of the device. You may now get to see a crystal clear preview of web pages with the retina readiness of the website. It is really handy and a lot helpful in smart SEO. If you wish to make some quick deviations and modifications on the website then instead of applying them straight away, check them beforehand through the instant preview to see how things may look real-time after making them go live. It for sure is a healthy way to remove any vagueness and uncertainty. Have a glitch-free experience. Now you’ll be able to create the imperturbable yet coolest widgets way too easily by using more than 120+ short codes with configuration. Isn’t it great? 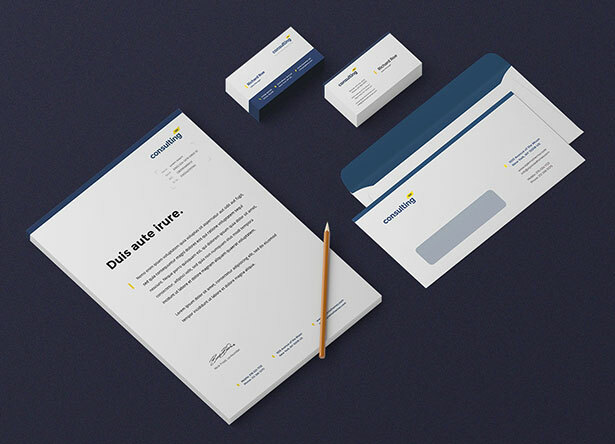 Here we are also giving away free corporate identity templates so you can implement your branding design and give it a pro look. Thanks for themes wp sharing!